READ as many records and newspapers as you can. RECORD your sources and your information so it can be stored easily and retrieved easily. WRITE up your research every so often and uncover the next set of questions you would like to answer. The most important tip she passed on was this: REPEAT THAT PROCESS! What an historian learns in the second, third, and fourth reading are the connections between the small details. Details that seemed inconsequential at first suddenly tell an important story or offer an amazing insight into your ancestors’ lives. I have very limited information about the women in my families: maiden names, federal census data, brief register report descriptions, and every once in a while, a mention in a document like a deed or mortgage. 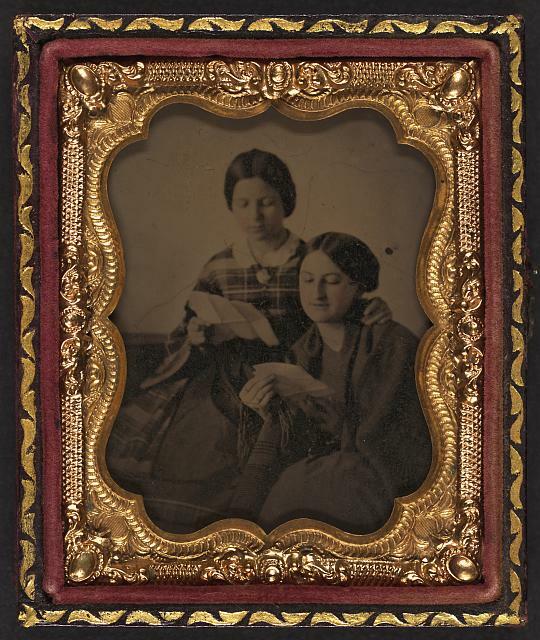 On the occasion of Women’s History Month I devoted some time last week to rereading those records and attempting to write brief biographies of four female ancestors alive during the Civil War. Six hundred words later I had gotten up to 1864 in the life of one woman. My very limited assignment took on the feel of a dragon pulling me into a deep, bottomless cave! Given the time I have for writing I had to refine my assignment, and so began looking for a connection among all of the data, a spark of insight, a piece of sticky tape that might paste a story together. In other words, I repeated the process–again. John P. born 18 December 1852. Alfred born 31 December 1855. Sarah born 23 February 1858. Leroy born 15 April 1864. Robert, my great-grandaddy, born 29 July 1869. Wait. Leroy was born on April 15, the birthdate of one of my children! Hmmm. Seems like something else happened on or around that date. Rifling through my Lady Papers, I found my essay on Greene Dodson. There. April 15, 1864–William Greene Dodson, eldest son of Sarah Jane Rowlett and James H. Dodson, enlisted in the 34th Regiment Virginia Infantry of the Confederate Army, at Christiansville, Mecklenburg County, Virginia. Three women connected across time, place and circumstance. At this intersection waits my story, which will require yet one more repeat of the read, record, write. Great advice! Sometimes in the excitement of finding one important detail, it’s easy to miss other details like the one you found. I had a similar experience: I have a detail-laden document my father filled out applying for a fidelity bond. I’ve reread it at least 6 times and each time I found a different clue to follow. Good thing I put it in a sleeve or the darn document would be even more deteriorated than it already is (being 40 yrs old). Thanks again for your tip.